The Queen’s former in-house dressmaker is now able to offer a bespoke couture dressmaking service. Alison Pordum’s passion for combining traditional couture dressmaking skills with modern trends and processes in fashion design means she produces clothes distinguished by their exquisite quality and style. Her long experience includes a four-year spell in the Royal Household as Dressmaker to The Queen where she was responsible for the production of all Her Majesty’s ‘in house’ outfits. 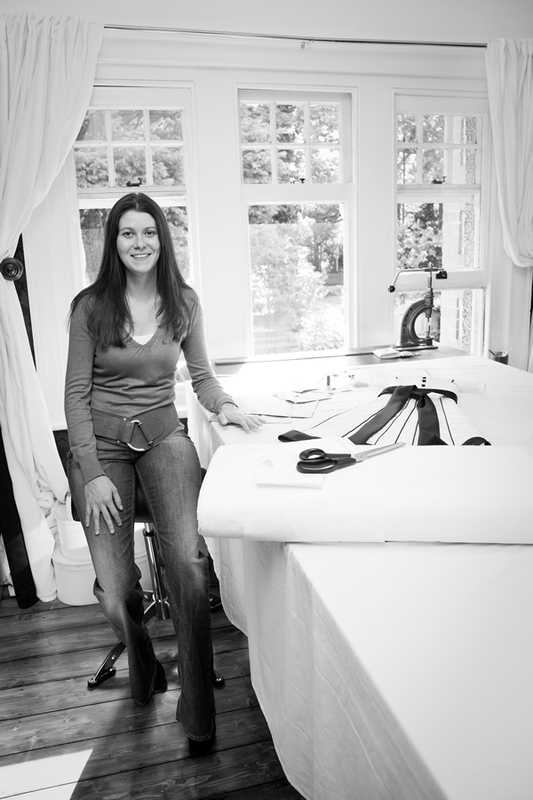 Alison left her Royal post at the end of 2008 to launch her own business and develop her own distinctive range of garments in which clients enjoy the unchanging quality of haute couture enhanced by contemporary styling and the hand finishing skills of the dressmaker’s art. 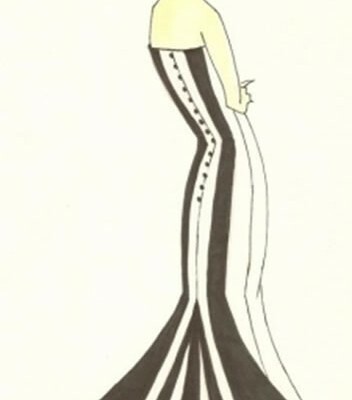 The first stage of creating a bespoke couture outfit is an initial discussion with Alison to discuss individual requirements and select silhouettes, colour and fabric. From there, Alison will produce a number of sketches, supply fabric swatches and recommend trimmings. After choosing the final design you will have your first toile fitting. Following the final fabric choice there will be approximately another three-to-four fittings, depending on the complexity of the design. This careful process ensures that you go on to possess a garment of fine quality, individual style – and one which is guaranteed to fit like a glove! I wanted to write to thank you properly for the phenomenal job you did on my bridesmaids dresses. From the moment we met you completely grasped what I was trying to achieve and the end result was stunning. The girls felt wonderful, stylish and comfortable all day. Thank you again for your vision and professionalism - you really brought the key aspect of my day to life. Thank you for all your fantastic hard work and for being so kind and lovely. You have filled me with such confidence since the very first phone call all those months ago and I have been thrilled every time I've come to see you. I cannot tell you how much mum and I have loved it! I wanted to send you a proper note to say thank you for making such an amazing bridesmaid's dress for me to wear at Lisa and Kevin's wedding. I know it was a labour of...love (?!) for you, getting the right colour fabric and then fitting two completely different women in the same style dress with one of them in Sheffield...but you did it! Once the dress was on, I didn't have to touch it at all - it didn't move. It fitted incredibly, and both Bex and I had some wonderful comments from the other guests. 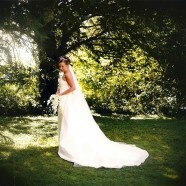 For me, wearing a made-to-measure dress made the day so amazing. 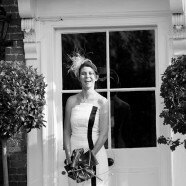 I truly felt like a princess - I know I was only the bridesmaid, but it felt a bit like 'my' day! - and this was down to you. 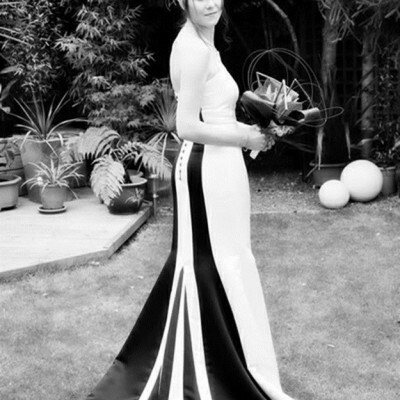 I've never in my life - even on my own wedding day - worn something so well made and which made me feel so special, and I really wanted to let you know. I know there were times it was..ahem...a tad stressful for you, but please rest assured it was worth all the sweat and tears on your part. So thanks VERY much, I think you're amazing at what you do. I wanted to write to thank you and say wow! The dress you created for me was so fabulous and I loved wearing it! I shall never forget the look on Robin's face as I walked down the aisle - such a magical moment. I had so many great compliments and it's still such a talking point with our guests! The care and attention to detail that you took from first sketches to the finished gown was wonderful and made me feel very special. All of which was greatly appreciated. You are such a talented and lovely person that I know your career as a designer will continue to flourish and I would always recommend you in the future. Thank you so much. I've enjoyed every fitting, even my 'meltdown' one. I honestly can't thank you enough for making this such an amazing experience and for giving me a dress that's so much more beautiful than I could ever have imagined.